Update: On March 20th, two weeks after he was detained and after a public campaign in his defense, Charushev was finally released. “Our fight was successful,” said Olga Kurnovosa, who heads the St. Petersburg branch of the United Civil Front party. “This is a very rare occurrence in today’s Russia,” she added. A Russian opposition activist, who says he was confined against his will to a mental hospital, will remain in the facility after a St. Petersburg court ruled in favor of his compulsory treatment Saturday. According to the ZAKS.ru online newspaper (Rus), Vadim Charushev is well known as the creator of several political web-resources and social networking groups. According to Charushev’s attorney, Viktor Grozovsky, the activist was detained by police, then forcibly hospitalized on the night of March 6th. It remains unclear why Charushev was first arrested. At that point, Charushev says he was forced to sign off on his hospitalization. Despite the fact that Charushev has not been diagnosed with any illness, he may now be held at the clinic for up to 6 months. Charushev was creator and moderator of a wide range of political opposition groups on VKontakte, a Russian social networking website similar to the US-based Facebook. Among his groups were “I didn’t vote for United Russia and Putin’s marionette!,” and “Galina Starovoytova, your ideas live on.” Starovoytova, a deputy in Russia’s State Duma, rallied for ethnic minorities and human rights, and was assassinated in Moscow in 1998. Olga Starovoytova, Galina’s sister, said she had met Charushev online, and was grateful for his efforts to remember her sister’s work and ideas. “He needs to be taken out of the mental hospital at any cost, as quickly as possible,” she told ZAKS.ru. Nelayeva believes Charushev’s confinement is punishment for his political beliefs. 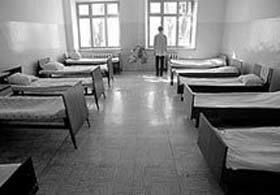 Read more about punitive psychiatry in modern Russia.